Ever since ABC found itself in the unenviable position of canceling the most-watched scripted series on network TV—admittedly, through its own willingness to let a Twitter-equipped scorpion go crawling around on its back, just waiting to poison the entire enterprise with one more-honest-than-usual tweet—there’s been a quiet question surrounding the future fate of Roseanne: Could the network actually pull off another return to the series without the woman who lent the show her name? The tricky part will be sticking to ABC’s firm commitment that now-ousted star Roseanne Barr not profit financially from the continued series. Roseanne itself was created by Matt Williams, who was fired halfway through its first season, but Barr herself is an executive producer, and Roseanne Conner is considered her creation. Beyond that, it’s not clear how much ownership she has over the show’s non-Roseanne characters; given how messy her divorce from ABC has been, there’s no reason to think she’d give the network any kind of easy time if they tried to maneuver around her rights to continue the series. That being said, the network does have one compelling financial reason to at least try: Because the series had already been renewed for a second season when Barr’s online behavior prompted them to pull the plug, ABC has already signed a trio of very expensive 10-episode contracts with Gilbert, John Goodman, and Laurie Metcalf that it’s obligated to pay, regardless of whether they actually make any of those new episodes or not. 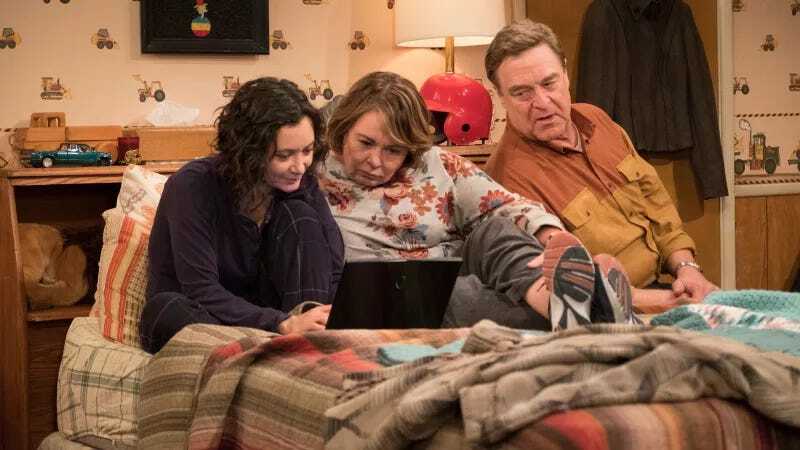 All told, those deals work out to something like $9 million (while the rest of the series’ talented cast and crew are in a much more nebulous position, pay-wise), so we wouldn’t be surprised to see ABC at least try to get something in the vein of The Conners or Darlene off the ground.